I think it’s FAIR to say…. Astounding that we are already at the end of July. Summer days always seem to fly by just a little to fast. 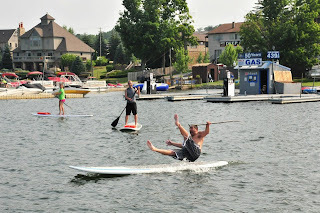 Now, is a great time to plan a last minute getaway to Deep Creek Lake. There are an abundance of activities to choose from, and the words, “I’m Bored” are completely inconceivable! For the first time that I can remember, the Garrett County’s Agricultural Fair (56th this year!) is actually being held in July! They’ve done an awesome job vamping up their website, where you can now view a full itinerary of the fair’s events, see the rides, look up the food vendors, etc. It’s extremely helpful. ( www.garrettcountyfair.org/ ) I, of course, am planning on going on Thursday say around 5-ish, in the high hope of hearing “Breaker One! Breaker One! I might be crazy but I ain’t dumb” and to catch sight of The General Lee!! 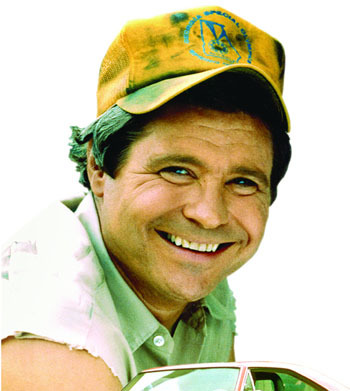 Oh yes, Dukes of Hazzard Fans, Garrett County is getting an opportunity to see Crazy Cooter (a.k.a. Ben Jones) and the Cooter Band play at the new agricultural center on Thursday evening @ 5 pm. He will also be driving the General in the Fair Parade. A few years ago, we got to see Luke Duke (I, myself, crushed hard on Bo!) Brings back some fun & nostalgic 80’s memories! If that isn’t motivation enough, think about those hot & delicious Rotary fires, the Lion’s Club barbeque chicken, funnel cakes, cotton candy, freshly made lemonade, and should I keep going? Yum!! I am also a big fan of those “ride till your ill” carnival rides and flashy carnival games. This is an awesome opportunity to check out a true Garrett County tradition with a day spent at the fair. While I’m throwing out the shout outs, this one goes to one of our very favorite guests, Barbara Horneff! She has been staying with us for awhile now and this year is enjoying a week in with her grandkids! As always, she spoils us silly with her sinfully delicious baking (her cinnamon buns are out of this world!) Thank you, Barbara. You are one of the many reasons we love doing what we do! Taylor-Madeis on fire lately offering all kinds of crazy discounts so call us today (1-866-351-1119) or check us out online www.deepcreekvacations.com . Ready to get adventurous? Add our Adrenaline Package where you can choose 2 out of 4 exciting activities! Whitewater rafting, kayaking, mountain climbing, or mountain biking tours, the choice is yours! In the meantime, we can’t wait to see on the lake and ya’ll come back ya hear? Last week we were blessed with a family gathering of my father-in-law and nephews. Bright sunny days and warm temperatures made our decision to spend several days cooling off by swimming in the lake an easy one. Now, where would one go to entertain 4 extra- rambunctious little boys? Easy! Deep Creek State Park, of course. With over a mile of shoreline surrounding the park, guests can swim, fish, or launch their boat. Offering a host of amenities such as picnic tables, charcoal grills, pavilions, and bathroom facilities make the park a great place to spend the entire day. The beach area is sandy with a small pebble bottom, perfect for swimming. They also have a volleyball/ basketball court and some playground equipment that the boys loved playing on. The park also offers some amazing hiking trails that range from modern too difficult. Pets are permitted on the trails as long as they are on a leash. Guests can pick up a trail guide at the Park Headquarters or purchase one online. Accessible all four seasons, the trails are often used for cross country skiing, snowmobiling, and mountain bike riding. Interesting fact about the park is that it is also the site of the historic Brant coal mine and homesite, where a restored mine entrance preserves a typical drift or adit mine. The mine was worked for several years by the Brant family and supplied bituminous coal for heating and blacksmithing in the local community. The mine was started as a dream by two local pioneers, Delphia White & George Beckman. It was in the early 1920’s when Deep Creek Lake was still in its planning stages. Delphia purchased 40 acres of land which he believed to be perfect for mining. In 1925, the dam was plugged and the terrain changed drastically. Unfortunately, by 1926, the mining had taken its toll on both men and they fell ill and passed away due to chronic lung disease. Their legend still lives on, however, as visitors, hikers, and history lovers can visit “Old Brant Mine” and learn more details of the history of the mine. 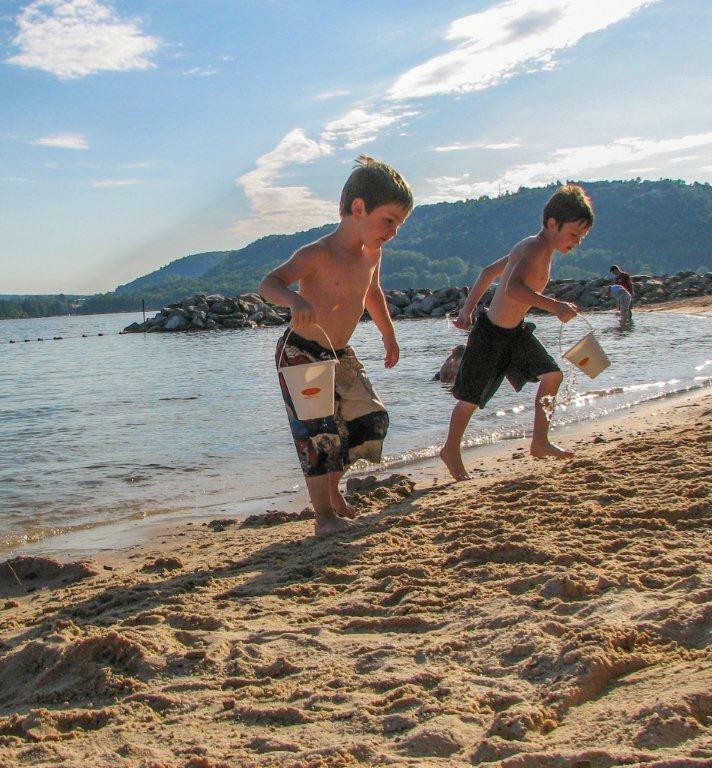 Pack up the cooler, gather the kids, and head to the state park for full day of fun activities. (Our boys had so much fun that they crashed out quite early, an added bonus for the adults!) We are still offering some fantastic last minute deals on our vacation rentals, so call Taylor-Made Deep Creek Vacations (1-866-351-1119) or go online (www.deepcreekvacations.com) to view all of our homes. Mountain memories are waiting to be made and we can’t wait to see you @ the lake!